President Donald Trump’s decision to withdraw half of America’s forces from Afghanistan has brought with it a sense of urgency and uncertainty to the situation. The urgency has raised hopes that the US-Taliban talks initiated with Pakistan’s help may help find a peaceful resolution to the long-running conflict in Afghanistan. In the Abu Dhabi talks in which Saudi Arabia, the UAE and Pakistan participated with the US and the Taliban, the interlocutors discussed the American withdrawal, the release of prisoners and the removal of sanctions on the Taliban leadership. While a Kabul delegation waited, the Taliban refused to meet the “puppets”. During the second round of talks, the Taliban first rejected a meeting in Riyadh, citing Saudi pressure to meet the Kabul emissaries, but later agreed to meet the Americans in Doha. The Taliban have strictly maintained their refusal to meet the Kabul representatives until an agreement is reached with the US over its military presence. 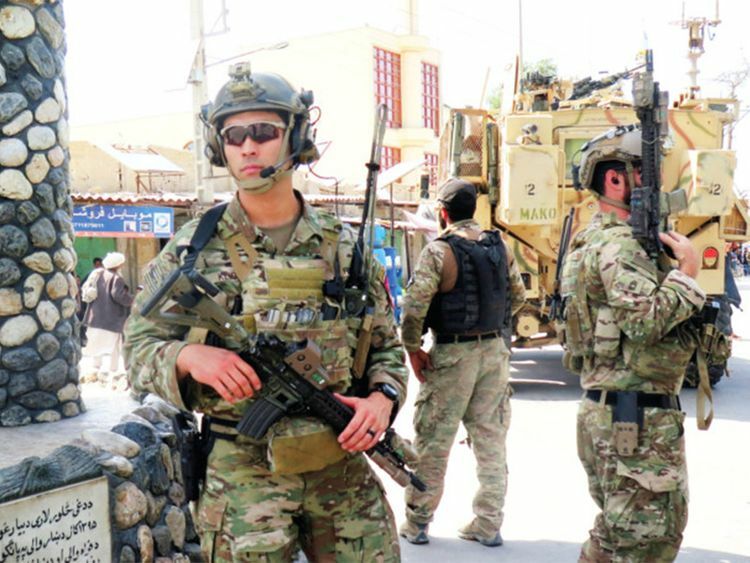 Zalmay Khalilzad, the US representative, said, “They told us they want to talk to us first to address the security issues and then talk to the Afghan side to address the political matters.” The Americans want a guarantee that Afghanistan will not become a safe haven for terrorists once their troops withdraw. While the US wants an agreement on a post-withdrawal administration, the Taliban first want the American withdrawal knowing that the Kabul regime will fall without US support. Of late, the Taliban have been on the offensive, forcing the Afghan people to brace for a violent year. Ordinary Afghans are increasingly despondent about the future after militant attacks on civilians and Afghan security forces have become a regular occurrence. January 21 attack by the Taliban on an Afghan military compound in central Maidan Wardak province, in which the death toll exceeded 100 people, should serve as a reminder of how quickly things can spiral out of control in Afghanistan. Many doubt the wisdom of announcing the troop reduction plan before a deal is struck, fearing this could trigger a civil war. The US-based Armed Conflict Location and Event Data Project puts conflict-related deaths at 40,000 last year, which almost equals the combined total of Syria and Yemen. And with 15 media professionals killed in 2018, Afghanistan became the deadliest place for the journalists. Within the US government there appears to be serious differences over the course Trump wishes to follow. The US is now convinced that the Taliban would be a major component of future government in Kabul. The question is how to preserve the US-installed regime in Kabul and allow the Taliban a share in governance to maintain stability after the US troop withdrawal. Despite maintaining nearly 100,000 troops at one time, the US has had no success in pacifying Afghanistan. They have struggled to understand the country they came in to save. They have failed to appreciate the militants’ resolve and how the common Afghan views the US-installed Kabul regime. The Taliban control a greater portion of the country than at any time since 2002. Their tenacity has compelled the Americans, Russians and the Chinese to talk to them. In the absence of foreign forces, the Afghan National Security Force is not sustainable. To maintain the levels of the current force Afghanistan will need to spend its entire budget of $5.4 billion (Dh19.83 billion). The force loses 3 per cent of its manpower every month to attrition, injuries and desertion. Replacing a third of the force yearly is not possible. The withdrawal of US troops is welcome and could result in peace within the country. But an abrupt American withdrawal will leave a vacuum that may be filled by rogue militant groups who could pursue their radical agenda to the detriment of regional peace and stability. In hindsight Afghan culture and history has always demanded a winner on the ground and there is now an increasing certainty who it will be. The US, under the circumstances, should accept a face-saving deal. America should be under no illusion what would happen after its departure. Najibullah survived three years after the Soviets left — I don’t think the US-installed regime will last that long. Sajjad Ashraf served as an adjunct professor at the Lee Kuan Yew School of Public Policy, National University of Singapore 2009-2017. He was a member of the Pakistan Foreign Service from 1973 to 2008 and served as Pakistan’s Consul General in Dubai during the mid-1990s.